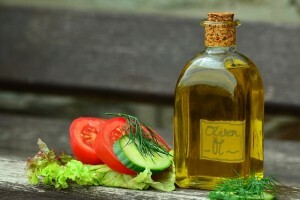 There should be no confusion about the benefits of dietary saturated fats ! Current dietary guidelines in respect of saturated fat restriction reflects American Heart Association (AHA) dietary recommendations which have unfortunately influenced the food, nutrition, and bio-medical communities world-wide. These recommendations fail to take account of the long history of saturated fat intake which has varied between 10% and 50% of daily calories in diverse communities, in which there has been no corresponding increase in the incidence of coronary heart disease (CHD) at any level of intake. The recommendations also ignore the distinctive differences in physical properties between beneficial saturated fats and harmful trans-fats, and the powerful physiological benefits in respect of anti-carcinogenic or anti-microbial effects of some medium-chain saturated fats. The recommendation to restrict saturated fats on the basis of the premise that they contribute to cardiovascular disorders, obesity or cancer is scientifically unfounded, and not supported by the clinical evidence which repeatedly identifies a positive relationship between saturated fats and an improved apoA / apo B ratio, a significant indicator of risk for CAD. Saturated fats are berated because of the observation that they raise cholesterol levels, but little credence is given to the fact that this occurs because they increase the cardio-protective lipoprotein HDL. Lipoproteins, however, are surrogate end points, and dietary recommendations should be determined by outcomes from controlled and randomised clinical trials. A systematic review of studies will show that there is limited and inconclusive evidence for the beneficial effects of fat modification or restriction on cardiovascular morbidity and mortality. Dr. Neville Wilson. Medical Suite – Leinster Clinic, Maynooth. That was a very refreshing article coming from a doctor…bring it on! Brendan, I am glad to hear your positive response ! I have tried for several years to expose the flaws in the “popular wisdom” regarding saturated fats and their purported harmful effects, and have repeatedly over the past decade published papers and articles to show just how vital saturated fats are for overall health. Unhappily, my papers have not always enjoyed the public exposure I believe they deserved, since “editorial privilege” has chosen not to print what I have frequently submitted, for reasons not given ! It is gratifying to note, that in 2016, there is now an acknowledgement by the scientific and clinical communities that the truth about saturated fats and dietary cholesterol has been hidden from the public for the past 30 years, and that the proven benefits of dietary saturated fats should now be acknowledged and publicly promoted. Whether this will happen remains to be seen ! My patients have been taught for many years that saturated fats are “heart healthy”, and should therefore be an essential part of a healthy diet.